Civil Service, a club founded in 1863 in the Phoenix Park, is one of the oldest cricket clubs in Leinster. Located in a picturesque part of the Phoenix Park directly opposite the zoo, the ground is in a prime position. However, a prominent location can sometimes lead to difficulties. These are issues that Civil Service encounters every winter. Keith Webster is someone that lives and breathes Civil Service Cricket Club (CSCC). “The club has been part of my life since I was about six or seven when I went to watch my dad play there. I’ve played with Civil Service for over 30 years now, my two brothers and I following in our father’s footsteps,” said Webster. Webster currently holds the title of first team captain and club treasurer within CSCC. Playing out in the Phoenix Park during the summer has plenty of perks. 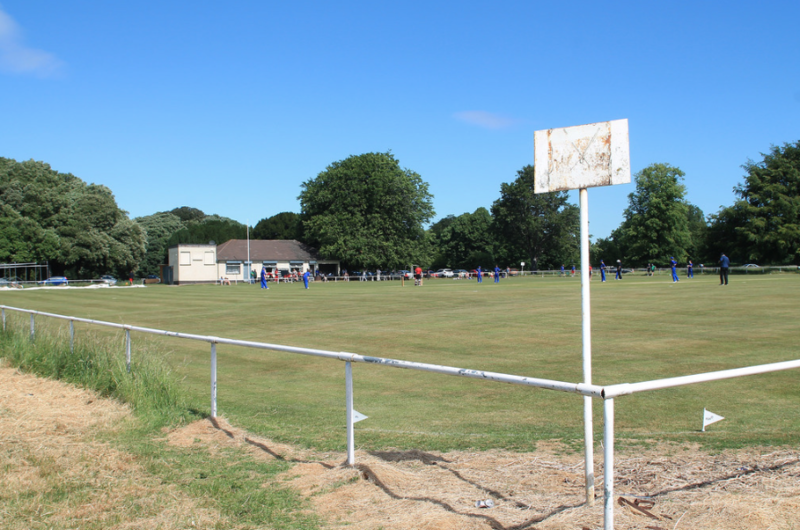 On a sunny day, there is no better setting in Cricket Leinster as the ground can become an idyllic scene of sunshine and cricket. Webster admits: “ It’s a lovely place to play in the summer, and you get many people stopping by wondering what this strange game is all about.” Many people who are going to the zoo or a walk around Phoenix Park often stop, common curiosity taking over. During the winter though, CSCC do not have any permanent control over their grounds. “We share the club with a hockey club who use the pavilion during the winter, and an athletics club who use the changing facilities all year round, we don’t cordon off the pitch out of season,” said Webster. This can sometimes lead to damage on the pitch during the close season as it is free for anyone to walk around on. CSCC hire a groundsman for the summer months, with him starting in March to try and ready the ground for the season ahead at all times. “We start prep on the ground once we take control of the club again in March, although one of the club stalwarts cuts the outfield before then,” said Webster. It is a club full of stalwarts, a club full of long serving players.